(Almost) Everything must GO, GO, GO! We will be moving out of our Old Town Alexandria location and into our new home in Del Ray at the end of this month! 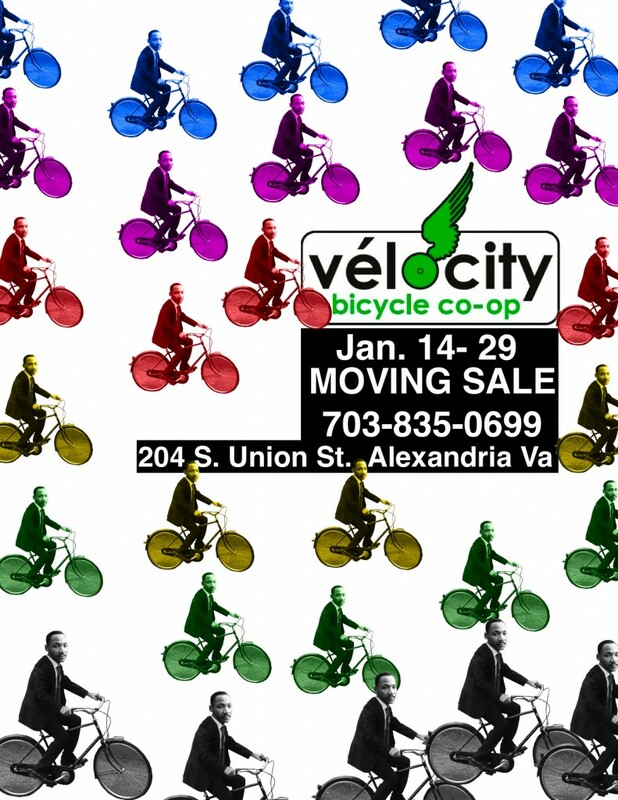 Come by the Old Town location [204 S. Union Street, Alexandria, VA] and take part in our massive moving sale. We’ve been preparing our donated bikes to be road ready at the time of our sale. Also look for: PARTS, GEAR, KID’S BIKES, NOVELTY BIKES, ACCESSORIES, and MORE! Sale begins this Saturday, January 14 through Sunday, January 29! Tell your friends. Bikes are fun.